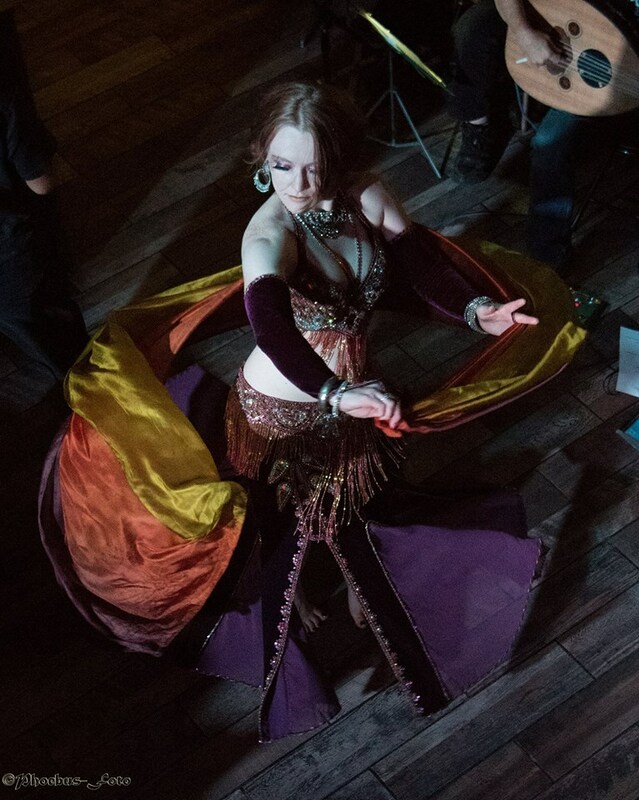 Elise is a theatrical fusion bellydancer from beautiful Portland, OR. Her love of geekery, drama, and the Middle Eastern arts shines out from her performance, and her love of the Portland performing arts community is just as strong. She is a founding member and former President of the Portland Bellydance Guild, a principal dancer with the Allegro Dance Company, a founding Dance Ambassador with Dance Wire PDX (2017), and executive producer of JamBallah NW, an annual festival of Middle Eastern dance and American fusion.